A Curtain of Green: And Other Stories – loudlatinlaughing – Euge! Euge! 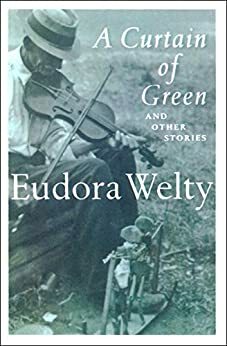 I am not a Eudora Welty fan, but prior to this book I’d read nothing by her, so needed to remedy that (especially after she came so highly regarded by Steven King’s writing memoir). My opinion remains unchanged, and she blends in together with the amorphous group of Southern women writers, one big bag of Flannery/Carson/Eudora that I have trouble keeping apart. I’m a terrible person, I know.